Copyright © 2019 All Rights Reserved. Musictoday II, LLC, is the seller of all Joey Ramone merchandise and is solely responsible for all aspects of your purchase. 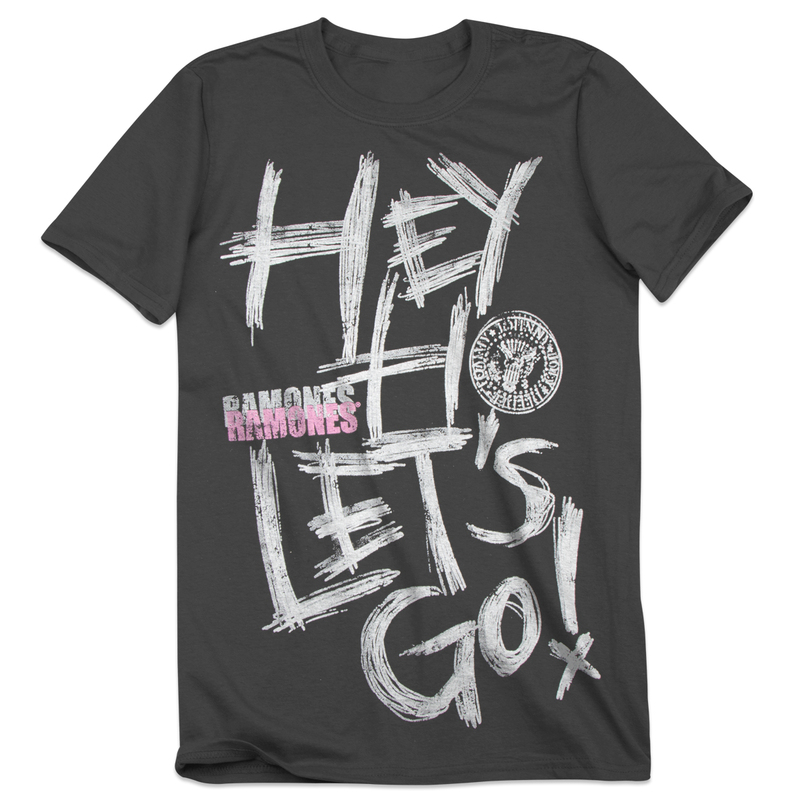 Black short-sleeve t-shirt featuring the grey sketched "Hey Ho Let's Go!" design on front with the pink and grey Ramone logo and the stamped Ramones seal.